We can clear it out for you. We can also tidy up a rental before re-tenanting and your property before you sell. We are able to remove small trees and shrubs and prune trees that have got to big for your section. We can level and re-sow your old lawn or totally replace your lawn with new ready lawn. 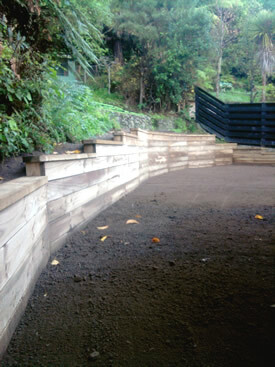 We can give your garden a general tidy up, mulch and feed your garden beds and re-gravel paths. We can also supply and add new plantings.